Creatine is one of the sophisticated supplement out there since it’s synthetically produced. Likewise, most brands on the market tend to offer the same quality of Creatine. So to help you choose the best creatine supplement of 2019, we looked into its cleanliness from unnecessary ingredients such as additives, preservatives, gluten, soy, artificial colors, and flavors to cite a few, and considered whether it’s Halal and Vegan-friendly. Below is a comparison table of 4 Creatine brands to help you make an informed decision. 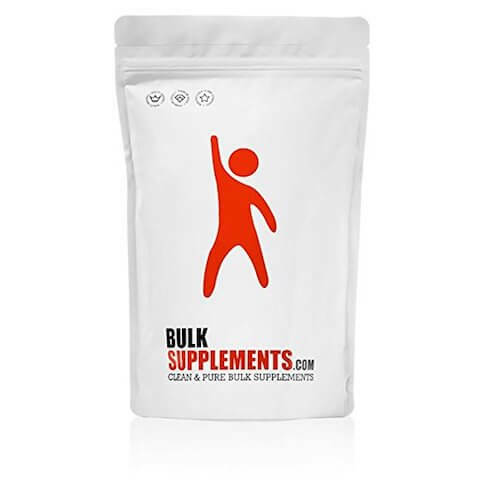 Who Can Benefit from Creatine Supplement? Creatine is a popular dietary supplement in the fitness industry thanks to its anabolic benefits on muscles. However, only athletes and bodybuilders with intermediate and advanced level will get the most out of creatine supplement. Beginners usually don’t have enough muscle mass and don’t train at an intense level, at least at the beginning. That’s why they should focus on their diet and workouts before starting to supplement with creatine. Vegetarians as they have lower creatine levels. As a reminder, although our body produces creatine, we get the most of it by eating red meat. There are different types of creatine on the market, but creatine monohydrate is the most effective and also the cheapest. The recommended dose of creatine is 5 grams per day and the best time to take it is around 30 minutes to 1 hour before exercising. Beware of taking too much creatine at once as it can cause diarrhea and nausea. This creatine monohydrate comes in powder form and offers 500 grams of creatine. 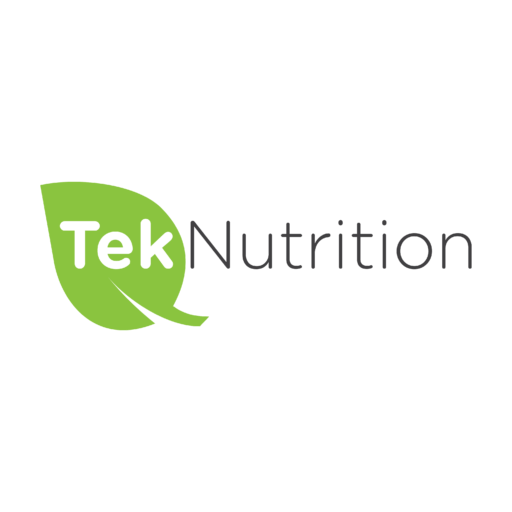 There are 200 servings per container and each serving contains 2,500 milligrams of creatine. The powder is unflavoured and can be mixed with all kinds of liquids and drinks. Additionally, this creatine is among the cheapest on the list. 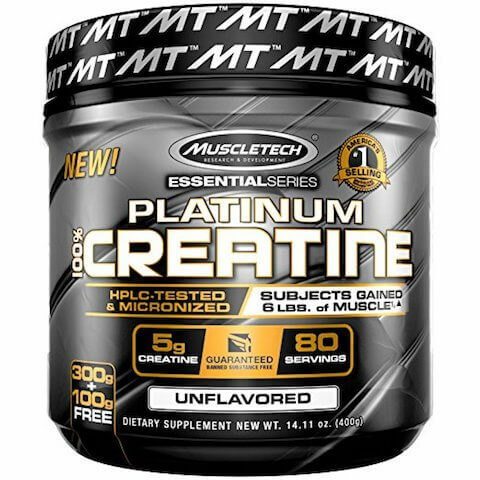 This creatine supplement from MuscleTech offers 5 grams of creatine per serving in a container of 400 grams or 80 servings. 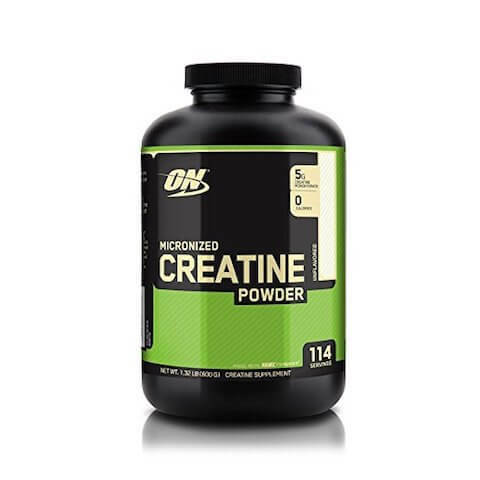 This creatine is our best price on the list. The famous brand Optimum Nutrition offers creatine monohydrate powder in 5 sizes and we picked the container of 600 grams as it offers the best value for the price. There are 114 servings of 5 grams of creatine per container. Universal Nutrition offers a creatine made of the famous Creapure® in a powder form. The creatine is unflavoured and comes in a container of 500 grams or 100 servings of 5 grams. 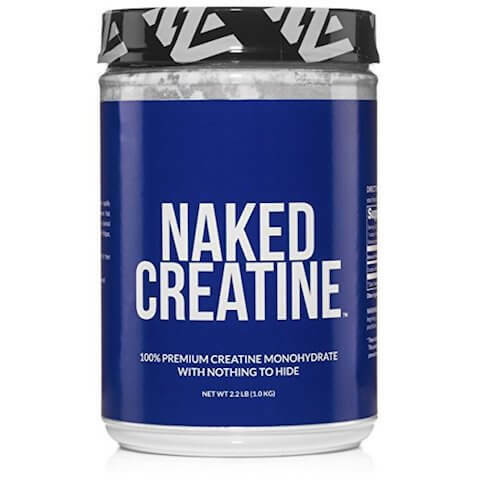 This pure creatine monohydrate from Naked brand has no artificial ingredients and comes in a container of 1,000 grams and 200 servings of 5 grams. Naked Pure Creatine Monohydrate is our best choice on the list. It’s a pure creatine without any artificial ingredients and comes at great price. What about you? Do you use Creatine to boost your performance? What is your favorite brand? Let me know in the comment section below. previous post: What Is the Best Halal BCAA Supplement to Buy in 2019?